Use our new Line and Plane Guides with any of the Sculpting and Brush Tools. You can orient your Line and Plane Guide freely in space or combine it with the Grid, Angle and mirror Tools for further control and precision. Turn on the Grid and snap your tools to precise points in space. Turn on the Angle Snapping and control the precise orientation of your tool in space. Draw your own Point, Line and Plane Guides which can be moved, oriented and scaled. Build an underlying structure for modeling complex objects with more precision. Combine with the Grid for even more control and precision. 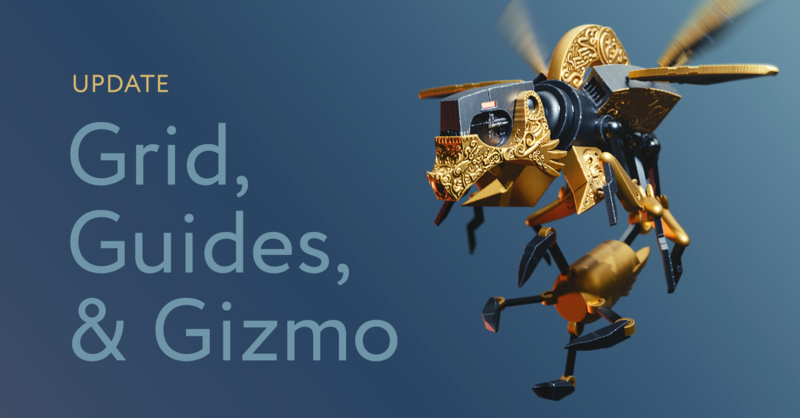 Easily Change the shape of the basic Sculpting Meshes (Cube, Sphere, Cylinder, Pyramid, Cone and Torus) with the Gizmo for even more modeling power.